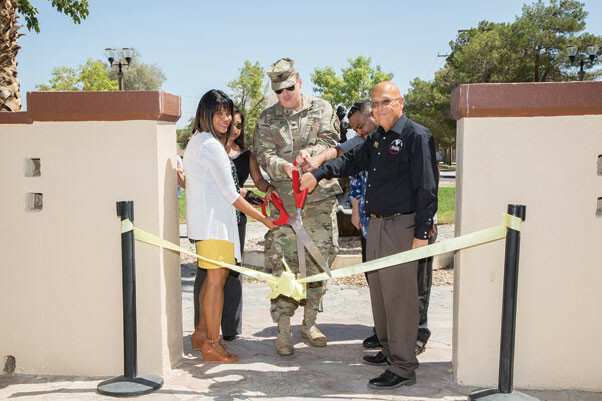 FORT IRWIN, Calif — After a year of construction, renovation, and planning, Fort Irwin’s, One Stop is complete. 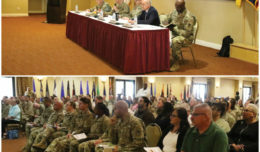 The U.S. Army’s Family and Morale, Welfare and Recreation (MWR), along with the Garrison Commander, Col. Seth Krummrich, welcomed the Fort Irwin community to participate in the grand opening Aug. 6. 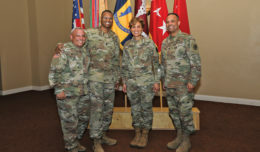 Leaders hailed the opening of the renovated facility as a step towards providing necessary convenience and streamlining services for the Fort Irwin community. “Family’s used to have to drag their little ones around to three or four locations, loading them in and out of the car, we’ve reduced it to one location. 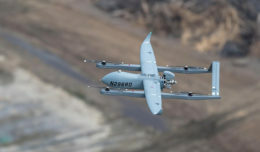 Where ideally, the kids can play while adults take care of business”, COL Krummrich said. At the One Stop, one can check out Parent Central, information desk, Tickets and Tours, Central MWR Clearing, a snack bar, WiFi, and beat the heat at the pre-toddler indoor play area. Facility manager, Mr. Jovany Rivas, said that “over 50% of MWR facilities are now housed in one location”. MWR hopes to improve upon facility provisions in the future. Rivas, indicated that in the near future a few more snack options may be added, and upgrading the indoor play area is already in the works. Children were already enjoying the cooler temperatures as they ate cake and got their face painted at a carnival-like atmosphere during the ribbon cutting. The MWR One Stop, located in building 21, Langford Lake Rd. Hours of operation are Tues.-Sat., 9 a.m.-5 p.m.